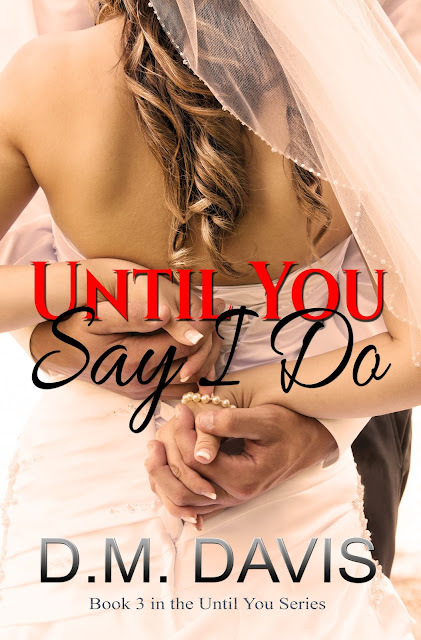 The Until You Series continues with Until You Say I Do. Trust is hard earned, and easily broken even for those who believe they have triumphed and now lie on the winning side of love. 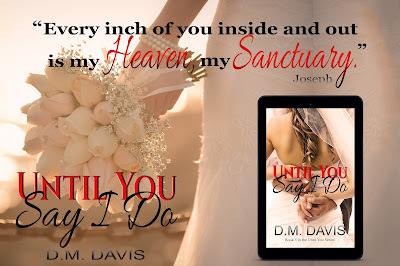 Having won Samantha’s heart and trust, Joseph is determined to conquer his next challenge of making her his wife and priming her for a career at MCI. But, an old nemesis threatens the woman he loves, shaking her to her foundation and jeopardizing their very happiness. Can Samantha see beyond the evidence and believe in the man she loves? Will Joseph be able to prove his innocence before it's too late to say "I Do"? 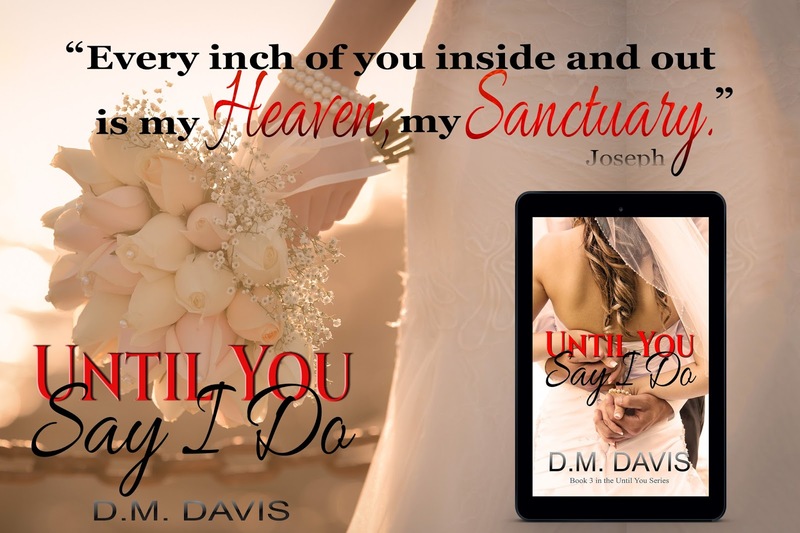 Until You Say I Do is Book Three in Joseph and Samantha’s story, which began with Until You Set Me Free. Book 3 in the Until You series. You do not have to read Until You Books 1 & 2, but it would be best if you have as not all details are rehashed in this book. Plus, you will miss out on getting to know Joseph and Samantha from the beginning of their journey. It's not to be missed. D.M. Davis is a Contemporary and New Adult Romance Author. She is a Texas native, wife, and mother. Her background is Project Management, technical writing, and application development. D.M. has been a lifelong reader, and wrote poetry in her early life, but has found her true passion in writing about love and the intricate relationships between men and women. She writes of broken hearts and second chances, of dreamers looking for more than they have and daring to reach for it. D.M. believes it is never too late to make a change in your own life, to become the person you always wanted to be, but were afraid you were not worth the effort. You are worth it. Take a chance on you. You never know what’s possible if you don’t try. Believe in yourself as you believe in others, and see what life has to offer.